Red Wine, Green Tea and Dark Chocolate: Foods high in rutin can help prevent blood clots. Research by investigators at Harvard’s Beth Israel Deaconess Medical Center (BIDMC) and published in online in The Journal of Clinical Investigation (JCI) has led to a strategy for preventing thrombosis (blood clotting) — feeding rutin to patients. Among the more than 5,000 compounds that were screened by researchers,, quercetin-3-rutinoside (rutin) emerged as the most potent agent to prevent blood clots. “Rutin proved to be the most potently anti-thrombotic compound that we ever tested in this model,” said Flaumenhaft. Rutin was shown to inhibit both platelet accumulation and fibrin generation during thrombus formation. 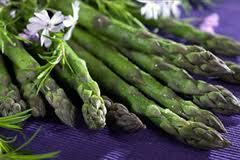 Foods that are high in rutin include buckwheat, apples and asparagus.